sometimes as mommas, it's so easy to lose ourselves... it's the nature of things. we put our children and our families first, often leaving behind the woman we used to be. and i don't mind it. i love my life as a mother. but every now and then, i get a glimpse of the woman i was. my most recent experience was a meet & greet with the New Kids on the Block and the front row concert experience of their The Package Tour. it was liberating for those 7 hours, but when i got back to the hotel and snuggled up with my little Bear, i began overflow with thankfulness that i am where i am in life. that being said, here are a few ideas that you can do to focus on you as (insert name here), not as Mommy. find a quiet spot, grab a cuppa, and settle in. it's not as easy as it sounds sometimes, trust me i know. but even 5-10 minutes a day of reading to/for yourself could do wonders for your momma-heart. or take longer at night to dive in to The Bible or another favorite read. i'm currently reading Distance and Time by Mel Henry. being a mom doesn't mean totally losing your own interests. 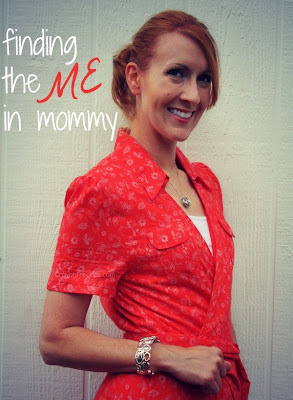 what's something you used to enjoy doing in your pre-mommy days? find a way to integrate it into your daily life at least once a week. maybe this means a family dance party where you can revisit your dancing roots, or a trip to an art museum that will let you share your knowledge with your family. maybe it's a purse you've been eyeing, or the latest book by your favorite author. for me, nothing takes me back to Andie faster than dressing in something other than yoga pants and a t-shirt. got the chance to try on the Heart of Me dress from Shabby Apple from their collection of vintage clothing and fell in love with it. it makes me feel feminine and funky at the same time. it's cool and comfortable cotton, and i can wear it to church, on date night, or with fun flats to a MOPS meeting. and the best thing about it is that the sale of it goes to help women in other countries. 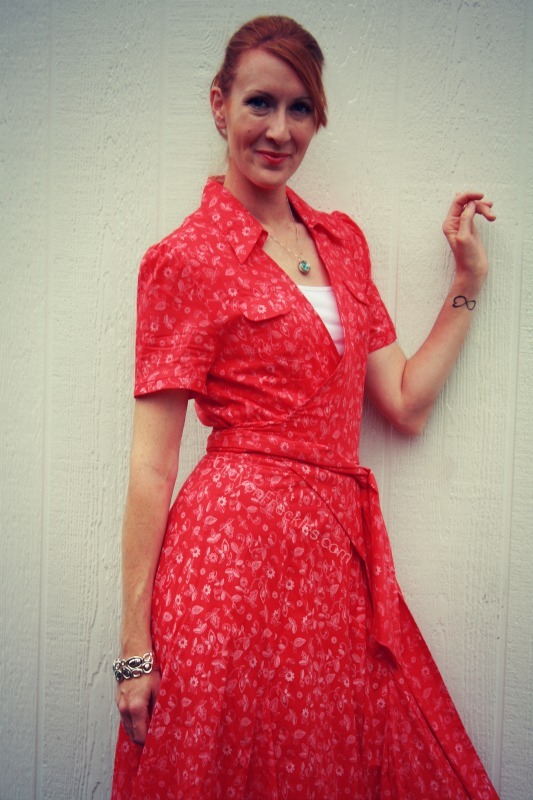 Shabby Apple's Pinterest board is also full of wonderful dresses and outfit ideas. a bright, fresh color on the pingers and tootsies is sometimes just what i need to give me a little kick. especially when i use a more funky color, like teal or bright purple. i know it sounds silly, but it does wonders for the spirit. as a former singer, it's great to just belt it out every now and then. even if you don't think you have the greatest singing voice, turn on some music from "your past"... the good stuff that evokes happy memories from your high school or college years. turn on the water and lose yourself for a song or two. some of my favorites are artists i've loved for ages like New Kids on the Block's 10, Fiona Apple's Tidal and Evanescence's Fallen . those are just some of the things that i do to give myself a little time to focus on Andie, not Momma. what's your favorite way to connect with yourself? This is a sponsored post written by me on behalf of Shabby Apple. All opinions are mine. The only compensation I received was the free product. Fantastic tips, Andie! Making time for ourselves, outside of motherhood responsibilities is so important. I need to remember this! Also, you are so beautiful! The dress is fantastic and right out of my dreams. And you wear it so well. I would seriously expect to see these pictures in their catalog or on their website. Fantastic! Kids Spell It Out: what makes you cry?